What do you do when you have a square thing and want to mount it in something but don’t have the ability to make a square hole? 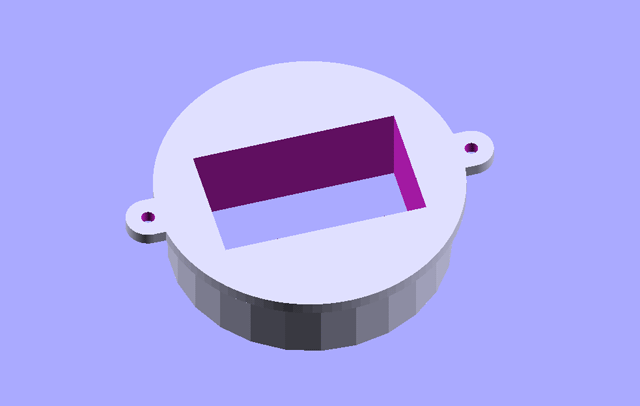 (Okay, I know it’s a rectangle in this case…) Well, you put the square thing in a round thing and then make a round hole. With some current projects I’ve been thinking a lot about how things can be done using specific tools, or a limited set of tools. For instance, if you’ve got a 2-1/2″ hole saw you can make a round hole and then drop this into place and hold it down with two screws. I started to model this mount before I even had the meter. 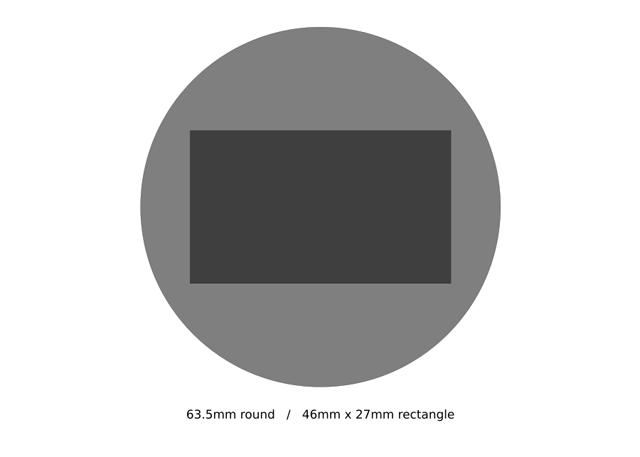 I drew up a rectangle of the dimensions specified on the eBay listing for the item (hoping they were accurate) and I then drew a circle around it to enclose the meter and rounded it up to 2-1/2 inches as that’s a hole saw size you can actually buy. 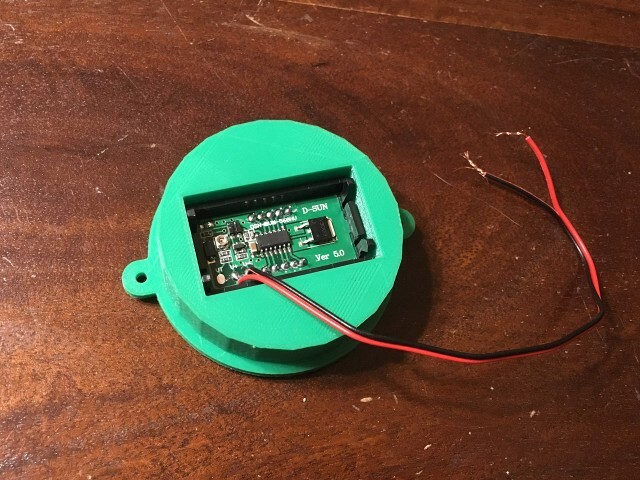 From there modeling the mount in OpenSCAD was pretty simple. It’s about 25 lines of code, and it the panel press fits perfectly. I added two ears to put some #4 screws through to hold it down to the panel. And of course while this version is expected to mount (nearly) flush with the panel, I could easily make that mounts on top of the panel and just has a small hole drilled through it for the two wires. So… many… options. Posted on Monday, June 12th, 2017 at 9:50 pm. Subscribe to the comments feed. Both comments and pings are currently closed. Post on your own blog. 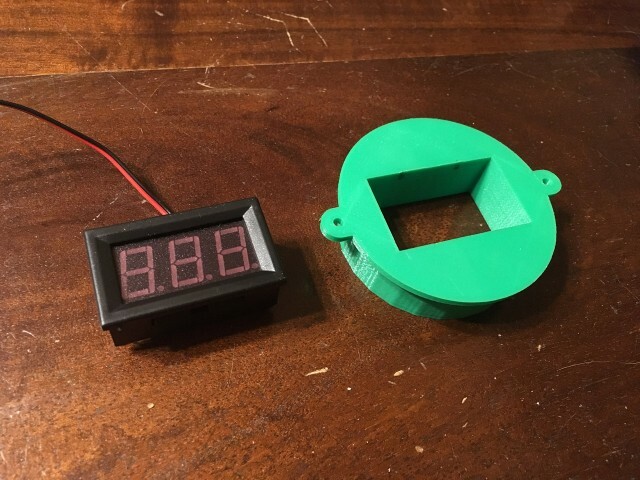 Can you share your OpenSCAD code? 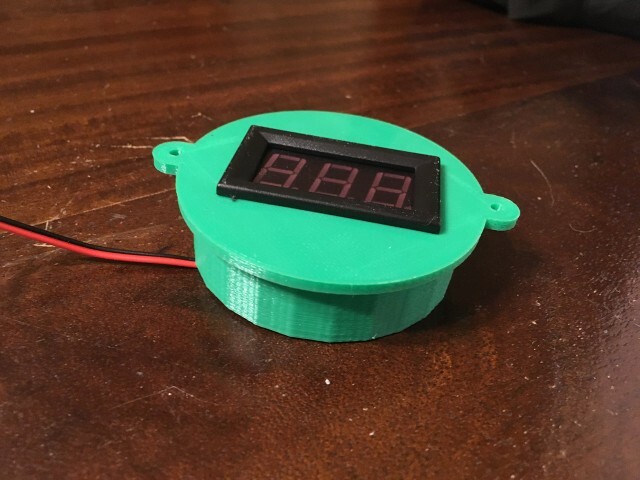 I’m using the same display on a project and it will save me a couple minutes if I can use yours. Thanks in advance! Thanks Pete! There’s a few things in your file that I’ve never used before, so it’s helping me learn about some of the more advanced features at the same time. Excellent ???? Dillon, yeah you can do some crazy things with OpenSCAD! Hey Pete! 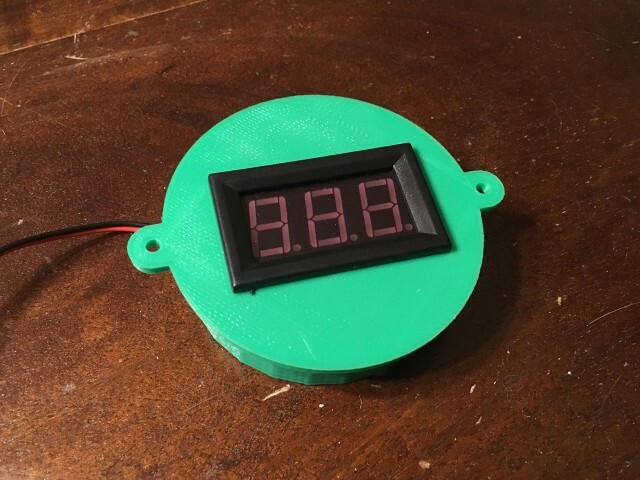 I finally posted about my project that uses that voltage readout. I think mine was actually different dimensions than yours, but it was still helpful seeing your file. Thanks again!